Hackers always try to target sectors which have weak cybersecurity shields. Since enterprises like banks, insurance companies and airways are fully aware of consequences of a small cyber breach. They have learned great lessons in past decades and have an understanding that cyber security is their ultimate responsibility. Hackers are also fully aware of this, so they have turned to easier targets, and one potential client for them are oil and gas companies. Oil and gas companies staff comprises of geologists, petro gas engineers, marketing and professionals like financial advisors. They hire IT, staff, mostly to keep their network of the computer up and running with little or no emphasis on security. This approach works fine decade ago but in today connected world of devices, there is zero room for cybersecurity compromise. In 2017, Deloitte reported that the energy industry was the second most popular target for cyberattacks in 2016. Almost three-quarters of U.S. oil and gas companies, the consultancy said, had a cyber incident in that year, yet only a tiny majority cited cyber risk as a major concern in their annual reports. These companies have thousands of connected device and this is what makes the cybersecurity situation in oil and gas very worrying. The IoT market for the oil and gas industry is expected to grow at a high rate between 2017 and 2022. Among the process industries, the oil and gas industry accounted for the largest share of the overall OT market based on the end-user industry in 2016. Since the past few years, the global oil and gas industry has been witnessing challenges such as falling oil and gas prices, sluggish demand, and environmental concerns. IoT enables the oil and gas industry to monitor the facilities remotely and gain knowledge about daily inventories and the equipment condition. The increasing number of oil and gas companies is investing in the improved control systems, software, and analytics to optimize their operations and give them a competitive advantage. According to MarketsandMarkets - Market Research Firm Global Forecast to 2022, the overall operational technology (OT) market is expected to be valued at USD 40.42 Billion by 2022, growing at a CAGR of 6.7% between 2017 and 2022. The factors that are driving the growth of this market are the increasing demand for industrialization in emerging economies; evolution of IIoT, and increased communication and monitoring machines; and growing demand for smart automation solutions. With oil and gas sector, adopting IoT for the betterment of their processes, is part of their future, but their first goal is to learn how to implement digital security in their infrastructure. Cyber Threats for Oil and Gas companies is a fast turning reality. 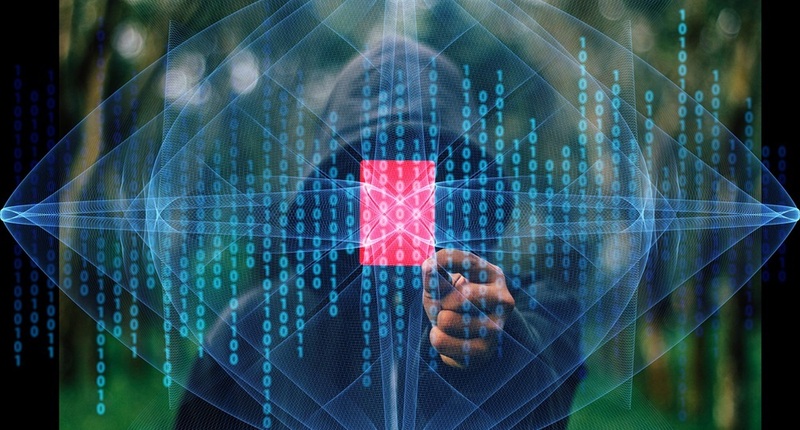 A hacker’s target may not only oil and gas on field equipment but subcontractors and law firms working for various oil and gas companies and this needs to be secured before it gets too late. In June 2017, NotPetya computer virus effected many companies around the world including the Russian oil and gas giant Rosneft. Havex virus is the latest virus developed to infect industrial control system and once its inside, it has complete capability to halt operations before getting discovered. No matter how to secure physical barrier of your oil and gas infrastructure is if you don't have any security mechanism well in place you are at the mercy of hackers which usually have no soft corner for weak. The dilemma is that when it comes to defense against modern cyber-attacks, companies’ traditional approach is that by spending more on the procurement of latest devices like firewalls, IDPS will make them more secure. But these approaches are not fruitful as hackers are always one step ahead of all these technologies. With the introduction of new malware like ransomware which can encrypt whole of your company data, there is a need to change in strategy of what approach is required to secure your company against cyber attacks. Ron Harris is the CEO of CommTunnel, IoT Security Company and a member of the company’s board of directors. Ron founded CommTunnel in 2017, the company is the result of more than 20 years of technology industry expertise in solutions development, UAS integration, infrastructure and cyber security.